The Manhattan Project was the codename of the secret American program to create the first atomic weapon during the end of World War II. The project was overseen by Robert Oppenheimer, an American physicist who was the head of the Los Alamos Laboratory in New Mexico where the first atomic bombs were designed. Eventually, the Manhattan Project would lead the atomic bombings of Hiroshima and Nagasaki in Japan, to end World War II. The Manhattan Project had its beginnings in 1939 after it was determined that Nazi German scientists had discovered nuclear fission in 1938. Nuclear fission, it was feared, would allow Germany to begin the process of constructing an atomic bomb. These fears caused physicists Leó Szilárd and Albert Einstein to draft a letter in August of 1939 warning the United States of the consequences of Nazi Germany having access to atomic weaponry. The letter was delivered to United States President Franklin D. Roosevelt and urged him to undertake the process of having the United States stockpile large amounts of uranium ore which could be used as a source for possible atomic bombs. The hope was that the United States could develop an atomic weapon before Nazi Germany. Throughout the early 1940’s, American scientists began the difficult work of organizing the secret program. Initially, much of the research and scientific work was completed at colleges throughout the United States until a test site was chosen in New Mexico in 1942. 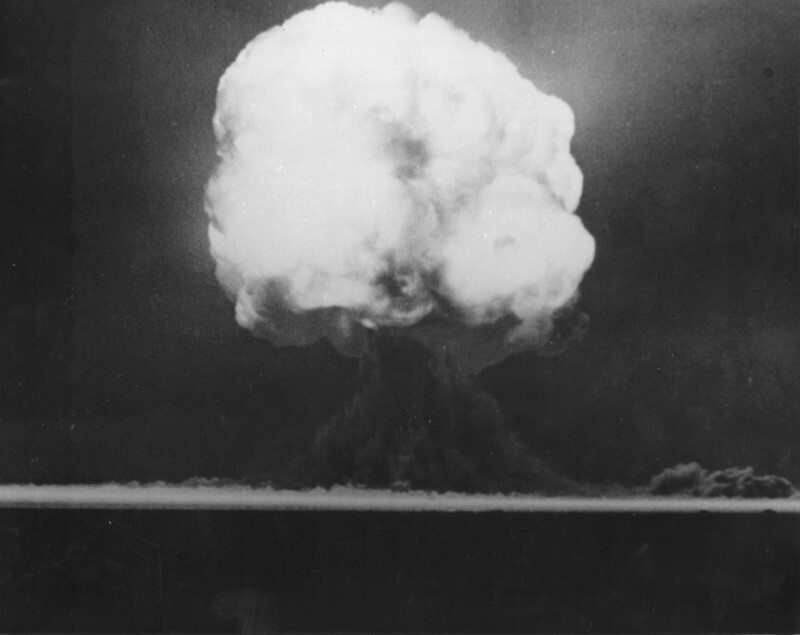 The first ever test of an atomic weapon was codenamed “Trinity” and took place in the desert of New Mexico near Los Alamos on July 16th, 1945. The site was chosen for its remote nature so as to limit an impact on any civilians. 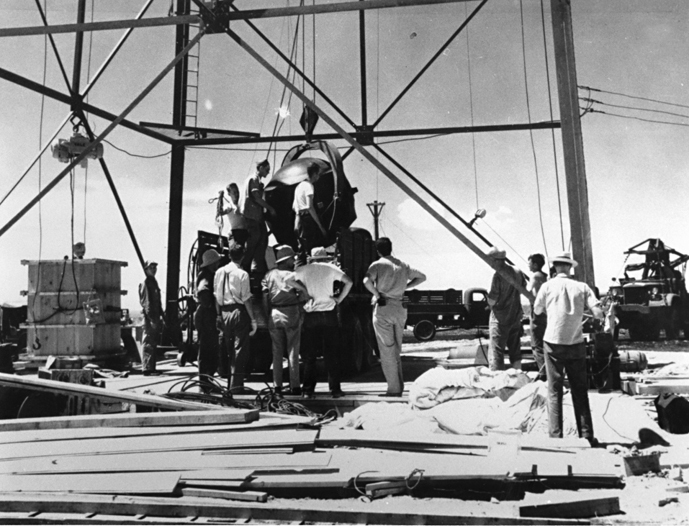 At the Trinity Site, a platform was created in which a tower was constructed that would hold the weapon component of the first atomic test. The device was called the “gadget” and when exploded it was considered to be a full-scale atomic test. The explosion was equivalent to approximately 20 kilotons of TnT. The United States had entered the atomic age and set the stage for the end of World War II.